Durational, looping, dual, excruciatingly precise; presence is maintained and contained to the space but time itself is altered by the tension between the performing body and those witnessing and by physical, psychological, and emotional pain, strength, and focus. 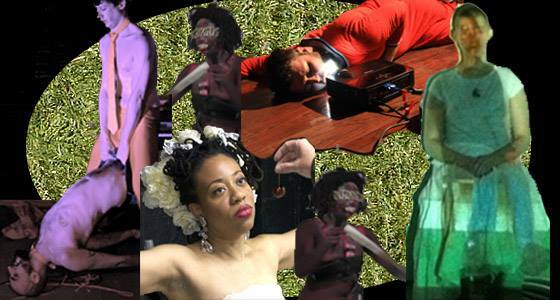 Four performances: Ayana Evans Phillip Fryer A.E. Kingsmill Future Death Toll +++ SPECIAL GUEST!! Uniska the Performance Body, Barney, or who??? Will our special guest come?